Hey everyone, today I’m doing a review of The Watch Hut, a huge online retailer of watches. Why am I doing a review of The Watch Hut? It’s normal behaviour to be a little wary whenever you buy from somewhere new online. Having had plenty of experience buying watches from The Watch Hut, I felt I could shine some light on the company and let you know about opinions on them. 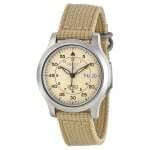 The Watch Hut are a huge UK based Watch retalier that was established in 2005. Since then the company has grown and grown. 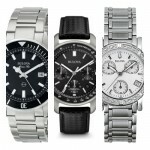 These days The Watch Hut offers a huge selection of watches that come with full manufactures warranty. They are official stockists of all brands that they present on their site. Is it safe to buy from The Watch Hut? This is a question that firsts come to mind when you shop on a new site, is it safe to buy here? And from my own experience having purchased quite a few watches here, I can assure you it is a legitimate site and safe to purchase from. The Watch Hut is current owned by the same company as Watch Shop. Which is why you’ll notice most their prices are the same. Personally I prefer to go for Watch Shop over The Watch Hut, but purely from the stand point of the site being easier to use. My personal Watch Hut review. Over the years I’ve bought watches from both The Watch Hut and Watch Shop. Delivery has always been very speedy with the watches I’ve ordered arriving in perfect condition. I’ve also changed my mind on one in the past and the whole return process was a breeze to be fair. If you want to check out more The Watch Hut reviews you should take a look at their trustpilot page here. Here are a few simply pointers for why it’s worth buying at The Watch Hut. Free delivery: They offer free delivery to all customers. If you order before 4pm on a week day or 1pm on a Sunday they will dispatch the item on the same day. 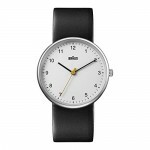 Free returns: If you’re not happy with a watch or simply change your mind, it’s easy to return the item and it’s free. Official Stockist: Being an official fully accredited partner of all the brands they present means each watch comes with full manufactures warranty. Over time the occasional The Watch Hut discount code becomes available to be used at The Watch Hut. If we come across any or get offered some to display I’ll post them here. As always, thanks for taking the time to read through today’s post, my The Watch Hut review. I tend to stick to 3 online shops when it comes to buying watches online, which is why they are the 3 I recommend when I review a watch. These are The Watch Hut, Watch Shop, and Amazon. If you’d like to add your own review of buying from The Watch Hut, then comment below and add them to the discussion.